Thank you for selecting our inspection firm to perform your inspections. We strive to be your inspector for life!!! Order your Home Inspection online and receive 50% off the Electrical Outlet Efficiency Testing. See the discounted fees below. * PLEASE NOTE: Name, Address and Phone are required to submit this form. Inspection Fee is based on the information you provide. Please fill in what you know. Out of area inspections require an travel fee. Please select the type and age of the home, then select the drop down square footage to see the fee. Technically exhaustive inspections are always recommended to our clients, even though they are cost prohibitive for most. Technically exhaustive inspections can include everything you can think of related to the property. Fees for this service start at $13,000.00 for smaller homes and go up from there, depending on the lot, location, and components of the home being evaluated. Included in the technically exhaustive inspection can include most of the professionals involved in building a home; i.e. plumber, electrician, hvac, general contractor. Typically included are evaluations by a structural engineer, moisture intrusion expert, termite inspector, infrared thermal imaging professional, main sewer line videoscoping professional, lot survey expert, radon testing professional, phase-1 environmental screening professional, lead hazard screen professional, and any other professionals deemed necessary for your home. This may also include chimney sweeps, retaining wall experts, geotechnical engineers, soils engineers, stucco experts, brick masons, roofing professionals, electromagnetic fields experts, and any other expert for the major component needing to be evaluated. Multiple Family Dwelling quotes for properties with over two units are specific to the property, and the fees are not listed here. Quotes often times require a preliminary visit to the property. Please submit this order and describe the property in the SPECIAL COMMENTS & CONCERNS box below. The fee will be based upon the age, number of structures, number of units, and the amount of time that will be needed to provide you with the information that you need. The inspection of these structures requires additional fees. We recommend having the following services performed together with your home inspection. We offer great savings when you pair up your added service inspections with your home inspection because we are already at the property. METH CONTAMINATION SAMPLING - RECOMMENDED for all buildings. The Meth hazard Screen Survey is recommended for all homes and buildings. If your home is vacant, a foreclosure with no disclosures, or you just have no confidence in the past history of the home, then you must consider this value added service. To order the service you must complete a separate order form via our meth specialty website. WOOD DESTROYING INSECTS (WDI) - RECOMMENDED for all Utah homes. Do we really have termites in Utah? - For more info see our "TERMITE" section. TERMITE ONLINE ORDER FEE - VISUAL ONLY - OVER 5,000 Square Feet - Billed according to time and difficulty. RADON TESTING - RECOMMENDED for all Utah homes. What is the danger of excessive radon levels in the home? - For more info see our "RADON" section. This is a 48 hour electronic measurement test. Radon - $2,530.00 - For a 48 hour test period with the onsite personnel. ELECTRICAL OUTLET EFFICIENCY TEST (EOET) - RECOMMENDED for all homes. Are you are concerned with the "QUALITY" of the power at your outlets? For more info see our "ELECTRICAL OUTLET EFFICIENCY TEST" section. What is the danger of lead based paint hazards in older homes? - For more info see our "LEAD BASED PAINT" section. We will make every effort to meet your scheduling needs. 1) Before the inspection by completing this form. 2) On site at the conclusion of the inspection. 3) Or you can immediately mail the check to our office. This is a secure HTTPS payment form and your private information is encrypted. I have read, understand & AGREE to the Inspection Contract. I am filling this out on behalf of the client - Please send them the contract. I prefer to sign a hard copy on site. PLEASE SELECT WHETHER OR NOT YOU APPROVE EACH OF THE FOLLOWING ADDED SERVICES. PERFORM THE METH SAMPLING - I will complete the separate order form, so be looking for that online submission as well. PERFORM THE WDI - I have read, understand & approve the WDI addendum. PERFORM THE RADON TEST - I have read, understand & approve the Radon addendum. PERFORM THE E.O.E.T. - I have read, understand & approve the EOET addendum. DO NOT PERFORM THE E.O.E.T. PERFORM THE L.H.S. - I have read, understand & approve the LHS addendum. DO NOT PERFORM THE L.H.S. PLEASE ENTER HERE , THEN . Changing the Way Real Estate is Inspected in Northern Utah! 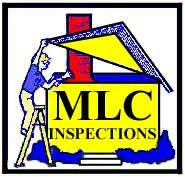 Michael Leavitt & Co Inspection, Inc.